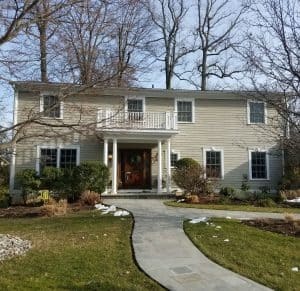 If you are interested in Buying Homes with Top Bronxville Realtors, think of Barhite and Holzinger. As a family owned business since 1935, the company has grown alongside the real estate industry. Since the company move to Bronxville in 1969 the town has become an important part of who we are. Along with the neighboring town of Eastchester and Village of Tuckahoe. Since the housing crisis the market has slowing gotten some stability back. Prices are finally making sense. But that doesn’t mean that what you paid for your home will be valued more now or equal to now it all cases. But there is definitely a glimmer of light for some cases. The realtors at Barhite and Holzinger can say that at the least. It seems that market can have a mind of its own, depending on the buyers. In most all cases the desires and wants of the buyers will drive the price up. In the Bronxville area homes, coops and condo prices that are 1.5 million and under. There was been 22 transaction in the past 6 months. In the luxury market of 1.5 million and above there has been seven transaction. So although the luxury market is not moving as fast as it was in its heyday, it seems that there are double the transactions there was in 2015. The Top Bronxville Realtors at Barhite and Holzinger, unlike the others, are the longest standing boutique company. Although bigger name companies have more of reputation due to their national locations, we are more vested in this area. This is our sole focus and what we are most familiar with. There is no inch of the town that we have not uncovered. Especially since the property management side to the company managers most of the coops and condos in the area. At our office there is a mix of real estate agents and property managers that can answer almost all questions about the taxes, homes sold, maintenance and what building allows pets. It is a surplus of information that we are ready to share! For more information call 914-337-1312.